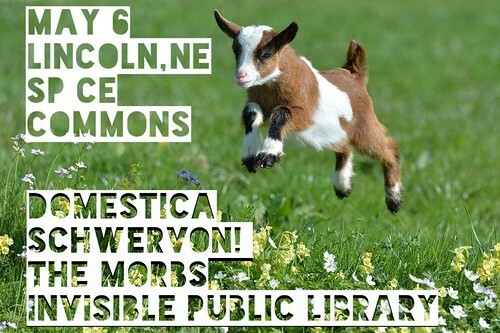 Next Show: Fri. May 6 / Lincoln, Nebraska w/ Domestica + The Morbs + Invisible Public Library | Schwervon! This entry was posted in Uncategorized and tagged Domestica, Invisible Public Library, schwervon live, SP CE Commons, The Morbs. Bookmark the permalink.